Great soundtracks are able to achieve two seemingly contradictory tasks at the same time: feel as though they are indelibly linked to the images matched with them on screen, and work as a stand-alone piece of art distinct in its own right. The soundtrack here for ‘Wild Rose’ negotiates this tricky balancing act perfectly. As a crucial part of the film it’s taken from, the music fits perfectly but, as a separate album to listen to outside of the confines of the cinema, it’s an uplifting, joyous, heartbreaking, and beautiful gem. 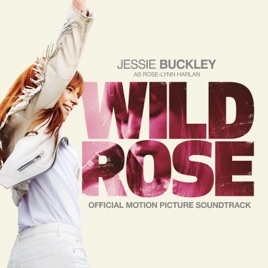 Jessie Buckley knocked it out of the park in ‘Wild Rose’ and yet again on its soundtrack. A star - well and truly - is born.